Seagull Group Pvt Ltd was established in 1984 and has evolved over the years diversifying and strengthening clearly defined product lines with a unique level of service. The first outlet of the company is the Seagull Marine which was initially introduced as Seagull Store 1. The oldest outlet the company owns is the Seagull Caf�. Since 1985 this garden restaurant initially operated independently under the name Gabbiano and in 1994 it came under the operation of Seagull Group with the change in name to Seagull Caf�. In 1995, Sea Sports entered the market targeting to provide surfing and swimming gear for the resorts. Seagull Foods was also opened in 1995 then known as Seagull Store 4. Initially the introduction of a foods outlet was solely based on retailing and wholesaling products from Maafahi. The island Maafahi in the Haa Alifu Atoll is where Seagull Group has its agricultural and fisheries project combined with a boatyard. Seagull Foods opened its second outlet in 2007. Sun Travels and Tours is one of the leading tour operators and travel agents in the Maldives. It was founded and established in 1990 by Mr. Ahmed Siyam Mohamed. The primary business activity of the company is inbound tourism. With 19 years of experience we are now currently bringing over 20,000 passengers, showing that we have grown from being a relatively small business to one of the top ranked inbound operators in the country with strong ties with the resorts in Maldives as well as tour operators worldwide. Our objective is to maintain a high standard of service in accordance with the requirements of the valued traveller. We are constantly thriving to increase the efficiency of the service provided, by creating a service where clients could contact our department and receive first hand information on the resorts and the services they offer. We work on allotment basis with a large number of resorts in Maldives, presently we hold over 300 beds in resorts of different categories, to meet the demands of individual client needs. We do offer other services as arranging diving, surfing, safaris and special packages for honeymooners, groups, weddings and meet and greet service. 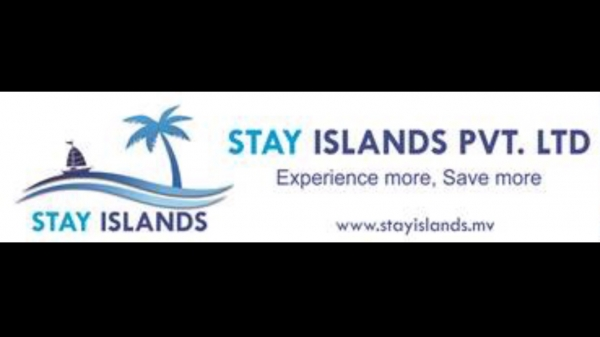 The portfolio within our group of companies includes exclusive resorts; Vilu Reef Beach & Spa Resort, a 4 star deluxe property situated in South Nilandhe Atoll and the award winning Olhuveli Beach & Spa Resort, in Soth Male� Atoll. The group also operates Sunset Queen, the 9 cabin luxury safari vessel . The Sun group of companies is also involved in managing and operating spas and diving schools and as such the brands Sun Diving School and Sun Spa has been created and rolled into the owning properties. To maintain the existing markets and develop new markets, we regularly organize familiarization tours to agents throughout the year. We also participate in several international travel exhibitions. Our efforts to constantly update and maintain the website at the top level was recognized by the International Association of Web Masters and Designers and thus awarded the prestigious Golden Web Award for excellence achieved in design, content and creativity. Since 2009, Sun Travels & Tours also acts as the GSA for Oman Air, the flag carrier of the Sultanate of Oman who operates 4 weekly flights to the Maldives . Sun Travels & Tours was also the proud recipient of the Gold Star Award for Quality 2000, the first Maldivian company to receive this prestigious award. This was a tribute to the hard work and determination of the management in continuing its efforts to promote us as a quality service provider, par excellence. Established in 1993, we were Male's first dive school and remain leaders in the dive industry in the Maldives. We also manage dive services on board a number of Safari Boats sailing in the Maldivian Waters including the MV. Carina and Divemaster. For People on a budget and want to dive in the Maldives, Male' is the place to go. There are a variety of guest houses and hotels to choose from that will suit almost any wallet. Please contact us and we will be happily to help you find the right accommodation for your stay. Sea Explorers is a PADI 5 star Gold Palm resort and we offer the complete range of PADI courses from introductory dives to professional courses. Whether you want to take your first breath underwater; are a novice diver keen to gain experience under the watchful eye of a professional; or a seasoned diver looking to partake in the adventure side of diving, we can arrange the perfect dive for you. Founded in 1992, Sea & See has flowered to the first rank of travel agencies in the country, handling several thousand tourists a year. Cashing on the growing number of scuba divers looking to dive the country's world class dive sites in comfort, the company was the pioneer of luxury live-aboard diving in the country with the launch of M/Y Manthri in 1995. Our expansion is the fruit of our dedicated and experienced staff. Our managing director Mr.Ibrahim Hussain Manik has been in the travel business since 1983 and our general manager Ahmed Nazeer since 1988. Our friendly team is always at your service. Our mission is to make your holiday smooth and hassle-free. After all a satisfied client is the best advertisement for the company. Our services include hotel reservation, airport handling, dive cruises, surf safaris, sports fishing, filming tour and incentives. We also offer tours in Sri Lanka and India, our closest neighboring countries. �STATIC TOURS - MALDIVES� was clearly formed as a brand holiday organizer, with the chain of supportive leading companies and Associate Partners in the Maldives, which the working relationship has been colossal since years. We are a full-service travel company in the Maldives since 1996, officially registered at the Maldivian Trade & Economic Development (C-98/1996) and have obtained a special license from the Ministry of Tourism & Civil Aviation of Maldives (Reg: TRA48), which is necessary to conduct travel-related services. Static Tours is specialized in Tailor-Made Holidays & Special Packages, Group Bookings & Tours, Handling VIPs & Celebrities, Luxury Tours, Private Charters / Hires, for those who want a dream holiday in the Maldives. With over 17 years of experience in the business, we are confident that our services will be unrivalled and that we can offer the best holiday deals at the amazing islands of Maldives. 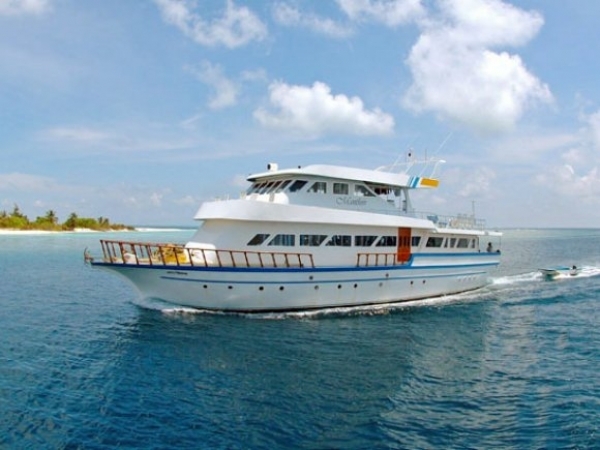 Static Tours is the Owners & Operators of M/Y Dhaainkanbaa (www.dhaainkanbaa.com), undoubtedly the most exclusive and luxurious liveaboard cruise in the Maldives unmatched by any investment, facilities, services & staff to guest ratio, or just plain looks to date. The floating boutique hotel offers intriguing capabilities of royalty to modern day adventurers in a fine combination of contemporary modern luxury mixed with the art of Maldivian tradition. 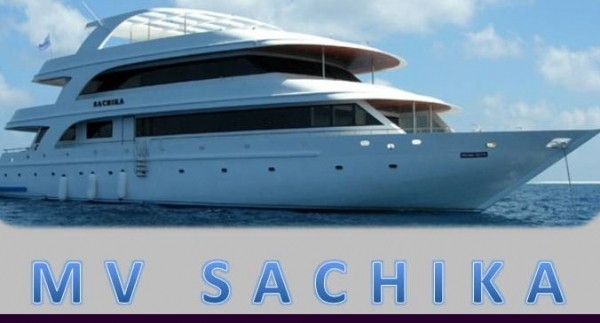 The MY Sachika is a luxury liveaboard running trips either for full charter or individual bookings, around some of the best dive sites in the Maldives. The most common itineraries include North Male, South Male and Ari Atoll (and normally Rasdhoo and Vaavu atolls) with some tours going further south and others further north. Scubaspa Pvt. Ltd is a European management company which operates two brand new motorized yachts: SCUBASPA YING and SCUBASPA YANG and offers exactly what its unique name suggests - the luxury holiday experiences that combine two elements, Scuba diving and Spa, both of which are delivered at the highest levels onboard. Scubaspa embodies the concept of a floating resort and is one the leading live aboard operators in the Maldives. Sailing Tours Private Limited is a company duly registered with the Registrar of Companies of the Republic of Maldives in 1997. Our main line of business is in travel � handling inbound tours to some of the finest Maldivian resorts and live-aboard safari vessels. Over the years we have been actively developing ourselves as a trusted friend for our valued guests and as a reliable business partner for our tour operators and associated resorts and vessels. We have worked with leading tour operators in the Europe and facilitated holiday packages for Italian, French, British and German holiday makers in the Maldives. Our staff and representatives are on call 24 hours a day, paying close attention to every need of all our esteemed customers and ready to go the extra-mile to make their holidays in the Maldives an unforgettable experience.